The main tool that is required for the definition of the activity as well as the determination of the duration and sequence of activities is the work breakdown structure (WBS). If you recall, in our discussion of the WBS, we found that it was used to methodically break down the project into manageable subprojects. The end result of this breakdown process is the creation of the lowest level of breakdown. This lowest level of breakdown comprises the individual pieces of work that must be done to complete the project. Because the WBS is a representation of the entire project in various levels of detail, it represents all the work that must be done to complete the project. 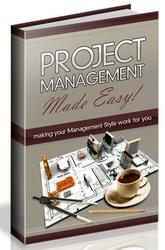 The WBS defines the lowest level of control that the project manager is required to manage. This is the work package level. From the viewpoint of the subproject manager, this level of control may reach down to the work package; it may be broken down further to the activity level or still further to the individual activity level. The result of this decomposition is that the work packages are decomposed into activities. The activities represent the necessary work that must be done to complete all of the deliverables of the project. 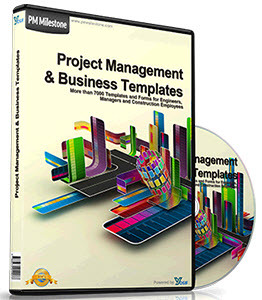 If there is similarity to projects that have been planned successfully in the past then it is possible to start with a template from the previous project as a starting point for the activity descriptions. The WBS represents all of the work that the project team must do to complete the project. Before the scheduling work can begin, the scope statement, the constraints and assumptions, and any other historical information must be reviewed to be certain that the work definition is correct and complete. The schedule, like the project plan, can be progressively elaborated. This is called rolling wave planning. This approach is helpful in large or long-term projects where there is some uncertainty about continuing with the project beyond a certain point in time. In this technique the work packages that are further in the future are planned at only a high level. Work packages that are closer in time are planned in detail. The result of this technique is that we can save a lot of planning time by not planning things that have a relatively high chance of never reaching execution. An example of this type of project would be the development of a pharmaceutical product. Many new drugs reach the experimental stage but few of them are actually brought to market. Planning components may be included in the WBS. These components can be used for planning later parts of the project. These components may also contain accounting information and separate account numbers to collect the cost of the planning work when it is done.